Create your own fireplace design online at www.modernflames.com. Lucky grandparents … coming for a visit is always special. And when you need a break to recharge, there will be a home away from home that makes a perfect retreat. I am guessing that your visitor lineup is going to grow! I have just come back from an exciting interior design show, IDS 2019, and was amazed at the new fireplace offerings. Clever technology mixed with a focus on environmentally friendly energy consumption is creating big change in this field. 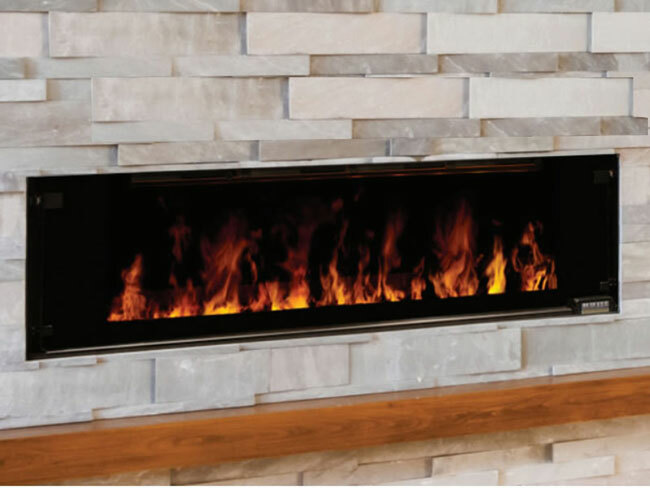 The biggest leap in visual appeal is showing up in electric fireplaces. Keeping pace with the contemporary, streamlined esthetic, there are inset models that stretch out horizontally and vertically. You will spend more to get all the mod cons, such as coloured flames, a choice of back panels, burner options that look like coal, cut glass chunks, and traditional logs, and remote control. 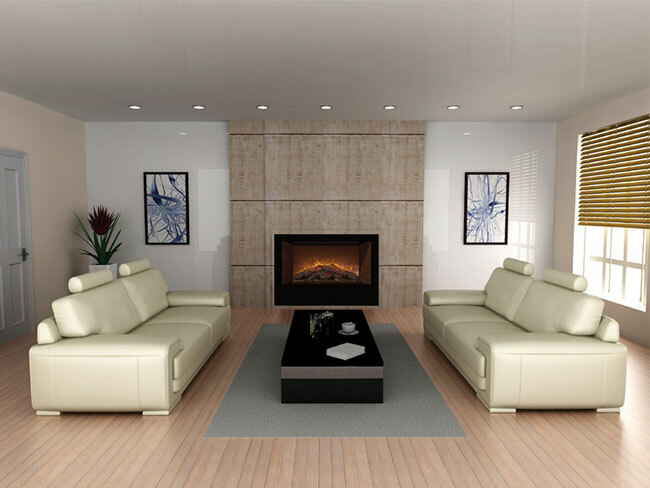 Modern Flames has a steam electric fireplace called FusionFire, that gives the natural, three-dimensional flame of real fire by using water and electricity. The smoke is actually mist, which is not only beautiful to watch, but adds a source of humidity. It works with manual fill or direct plumbing. www.modernflames.com. Up next for Modern Flames is a battery-operated electric log set. The Sunset Charred Oak log set uses the same batteries as an electric car, perfect for fireplaces where an electric outlet is not convenient. Nothing can surpass the pleasure of receiving a gift that has such a personal touch. It takes a bit of time and effort but wow, the happiness dividends go both ways. You can find small wooden boxes at craft and dollar stores that are ideal for decorating. 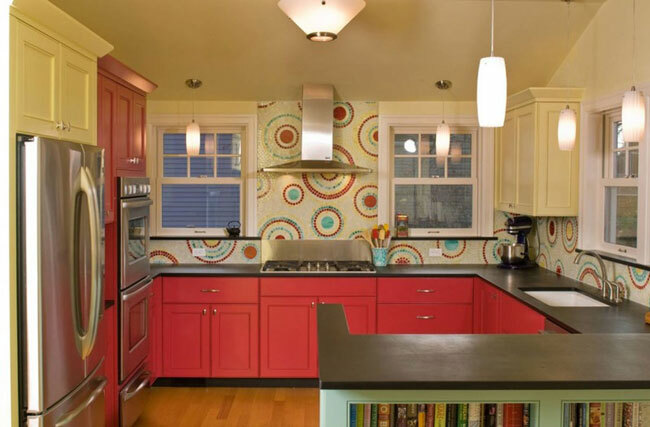 Since there is not much area to work on, think about applying a decorative finish that you might not otherwise attempt. Imitation silver or gold leaf creates a lustrous finish. The leaf comes in packets and is sold along with an adhesive. Because the leaf is so thin and fragile, work away from drafts. Apply a base coat of acrylic paint in a shade you’d like to see peak through the leaf. Red is regal under gold, blue resonates under silver. Brush the adhesive over the dry base coat and let it get tacky. Gently lay down the leaf and smooth out with a soft brush. Let dry and then brush away any bits that have not stuck. 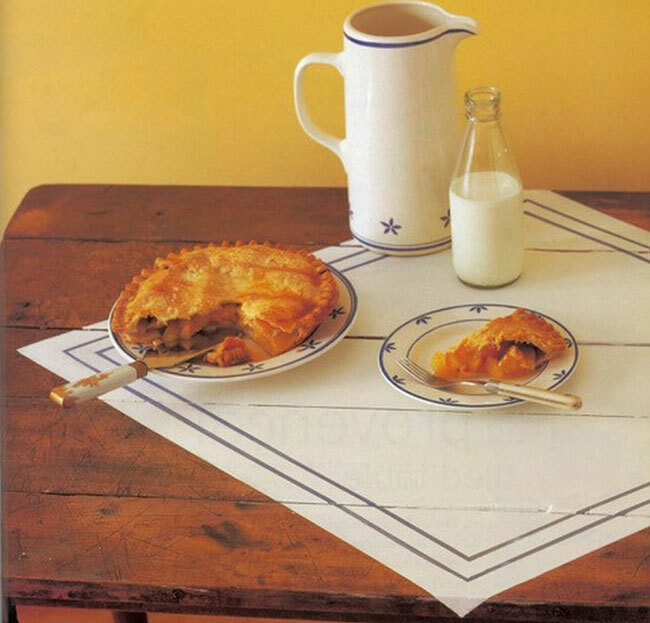 You can seal it with varnish, or if you want a more rustic look, gently sand off bits of leaf, apply a dark stain over the box and rub back with a soft cloth.